The weekend is here!!!! Which means rest, relaxation, and chilling, right?! Who am I kidding?! The weekends for Team K & G typically mean, maximizing training time and getting the most of long quality workouts. 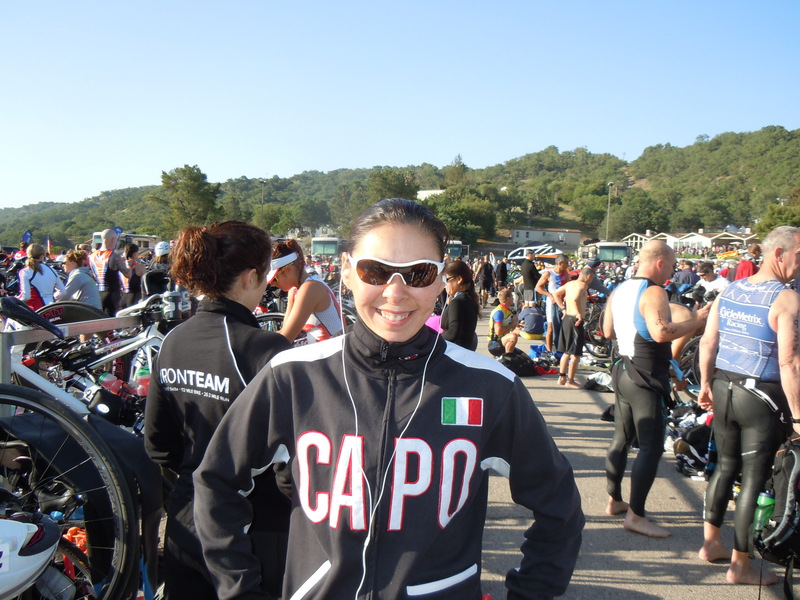 However, we’ll be racing Vineman 70.3 next weekend (yipeeee! ), so that means some tapering – less volume and more quality. However, for many taper-time can be a bit nutty and your mind starts to go on hyper drive because your body is not doing what it usually does to process the excess energy. Well, I got your solution – MUSIC! I titled this blog “Fueling The Motivation” because one thing that ALWAYS keeps me motivated, excited, and ready during taper week is MUSIC! Those who know me know I love good house music with drum, base, and upbeat lyrics. On race morning, I keep my iPod in my ears to keep me from being distracted by stimuli around me. It reminds me to “race to the beat of my own drum” and to have some songs, beats, and motivating lyrics to recall if I find myself in a mental rut throughout race day. I have to admit it was the song “Stronger” by Eric Morillo and Shawnee Taylor, and my mantra “God is my strength, God is my peace” that kept me focused and fast during my run at Ironman 70.3 California (aka “Oceanside 70.3”), in which I squeezed out a 1:36 half-marathon time. I’ve listened to that song a million times and always felt energized and filled up. I LOVE MUSIC and the powerfully positive feelings I get when I hear an empowering song. I mentally bank those feelings so that on race day I can tap into that energy when I need it. Sometimes it does the trick and sometimes not, but at least it is one more tool that I have to get me through. So, on taper week, instead of worrying, stirring, and going a bit nutty, I will have my music on jamming out and fueling the excitement instead of anxiety.